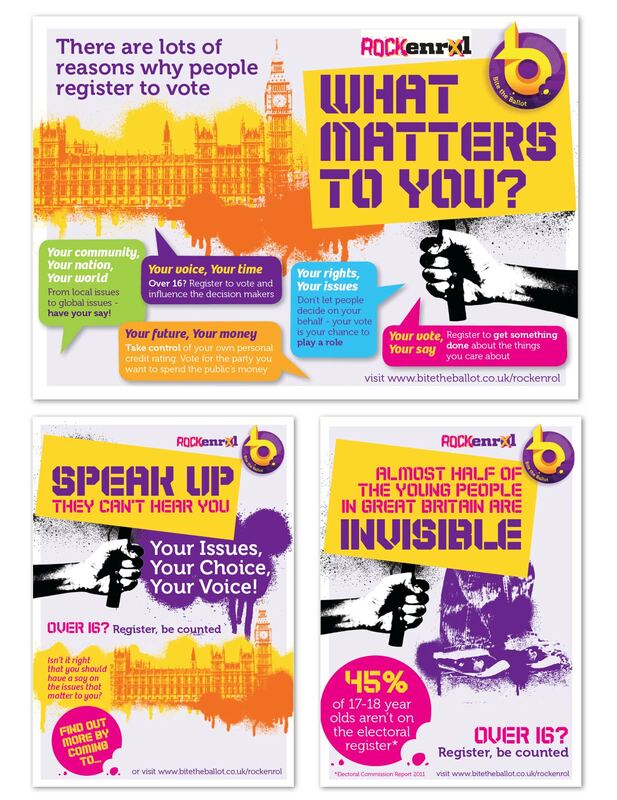 Bite the Ballot is a community service organisation working within schools to encourage young people to engage with the political system. 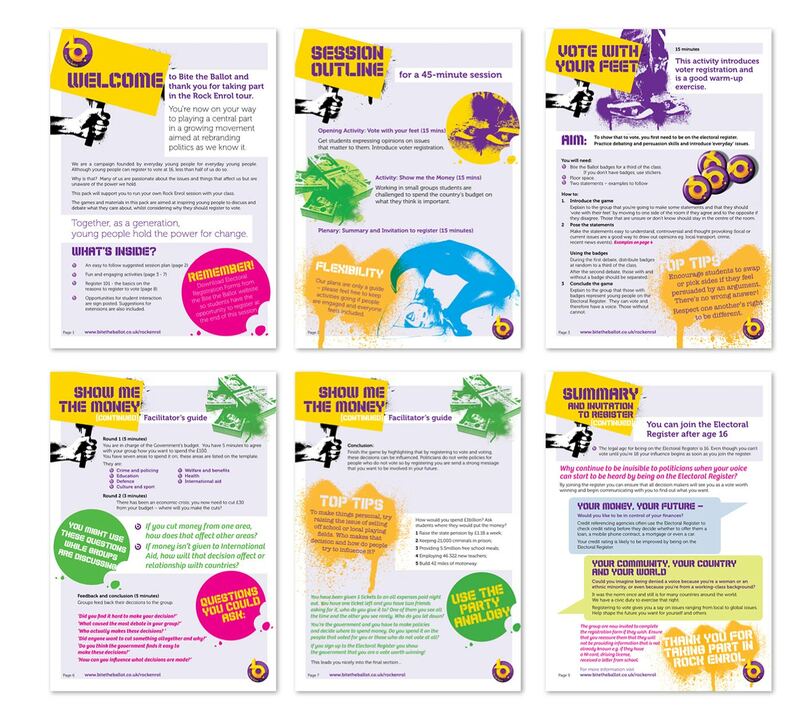 Simon Inc conducted workshops with the young people that the organisation supports and used the outcomes of those workshops as the basis for creating a vibrant and distinctive look and feel to be applied across all their collateral. 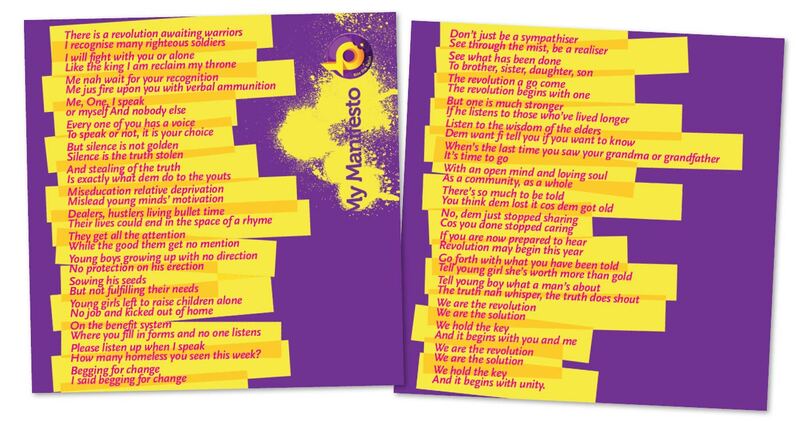 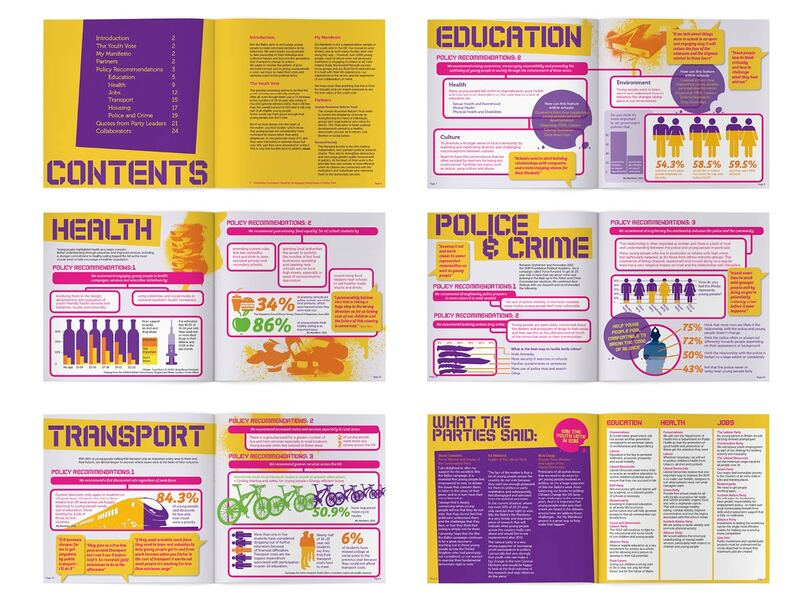 This included the design and layout of Bite the Ballot’s manifesto and various worksheets and resources for schools to help them to run programmes for their students to illustrate the role of politics in everyday lives.